I had to use one of my virtual machines that I didn’t use for a while today, and of course I couldn’t remember the password I used for it, so I had to change it. This is a guide for Novell SUSE Linux Enterprise Server 10 SP3. 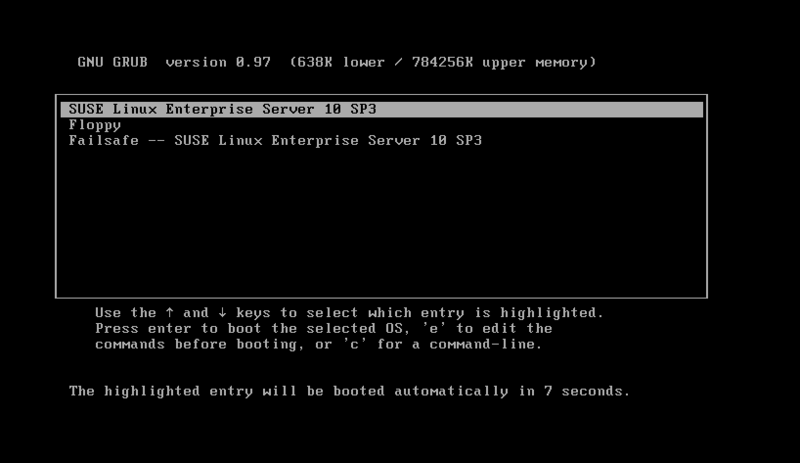 On the boot menu select the first option “SUSE Linux enterprise server” and press ‘e’ for edit. On the second menu select the kernel option and press ‘e’ for edit. type init=/bin/bash (leave empty space at the begging), and press ‘Enter’ and then ‘b’ to boot with that option. Reboot the server and log on with your new password. 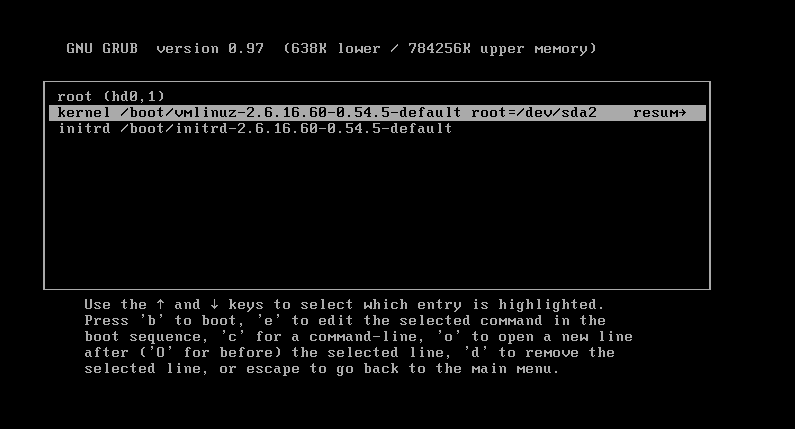 My problem is that cannot give any input after boot with init=/bin/bash option in kernel line. are you running SLES 10, or newer version? SLES 11/12? SLES 10 Service Pack 2. I can come up to (none):/#, but in this line cannot give any input.